This GIF is but one of many eye popping pieces featuring in the Ani Gif 2.3 Exhibition. If you like what you see check out the rest of the exhibition here. The “if X then do Y” (aka the IF THEN ELSE conditional structure) is one of the basic building blocks of programming, and this tumblr is explicating it in poetic fashion. I'm sure this is the story we've all been waiting to read since Microsoft took over Skype: it transpires that Microsoft is perfectly capable of reading everything you Skype. For now Microsoft are using this facility to access URLs and check for spam and malware. Perhaps inevitably, Evgeny Morozov turned his invective in the direction of fellow techno-utopian sceptic Jaron Lanier. The thrust of Lanier's new book 'Who Owns The Future' is that technology is destroying the middle class, and he offers a micropayment remuneration while we use Amazon, Facebook et al as a solution (and it is this model that Morozov savages). Well Federico Zannier is way ahead of him: his conceptual kickstarter makes the most of the maxim 'if you're not paying YOU'RE the product'. Another one to watch on the 'future of money'. Google is getting in on the peer-to-peer (P2P) lending system. P2P lending is less like bittorrent and more like AirBnB and the rest of the collaborative consumption services. Forecasters consider the trend as likely to disrupt the model of credit we are currently making do with. What is a sound camera you may ask? A sound camera visualizes sound in color contours similar to the way a thermal camera displays temperature with visual images. Want to know where that eerie squeak is emanating from? Look no further! An interesting update to our recently link to the scariest search engine ever. Security researcher Kyle Wilhoit devised honeypot entrapment strategies for hackers of industrial internet systems (IRL mechanical structures, like water plants or power grids) that can be hijacked over the internet. Rapid prototyping and it's sister technologies of sintering and laser cutting (the latter are both offshoots of CNC technology) produces some of the coolest objects. 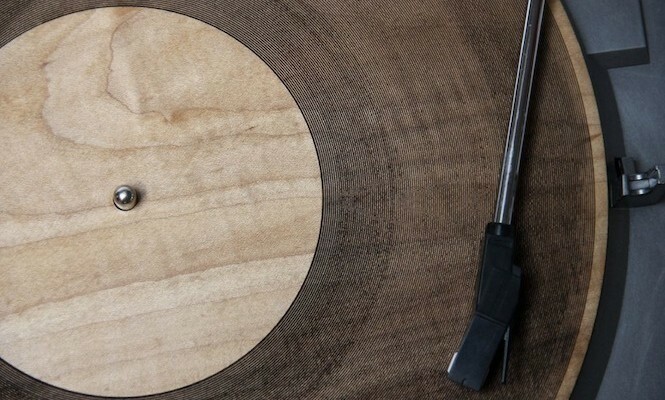 The latest from Amanda Ghassaei makes an LP of wood. Future limited release promise to be even more novel / kitsch than they are now.